Your Christmas tree should express your personality, so why not let the world know you have a sense of humor? 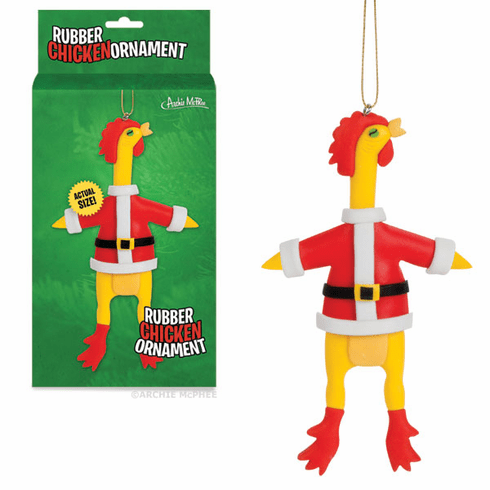 The Rubber Chicken is known around the world as a symbol of whimsy and laughter, and our Rubber Chicken Ornament is dressed as Santa, so it perfectly melds holidays and humor. This 5-1/2" (14 cm) tall, plasticized clay-dough ornament is sure to be placed in a prominent place on your tree! (Or hidden way in the back on your mom's tree.) Comes with a string for hanging.